If you have a heavy duty garage door, you will need a 3/4 horsepower opener because it will last the longest and provide the best long-term outcome. This is the situation that the Chamberlain Group PD762EV 3/4HP Heavy-Duty Premium Chain Drive Garage Door Opener was designed for. The 3/4 hp motor is so powerful that it can pull up hefty doors, even dual wide, and carriage-house-style doors with loads of additional woodwork. The PD762EV is a powerful chain drive garage door opener, designed for heavy use cases. It can lift even the heaviest of residential garage doors. This opener is combined with the latest MyQ compatible internet connectivity and it has an incorporated backup battery that supplies the opener with up to 20 opening cycles in a 24-hour blackout period. Easy to install: The Quick Rail System is easy to install. There are pictures throughout the setup instructions that give you specific locations for assembly. 60% of the assembly clips together without hardware. 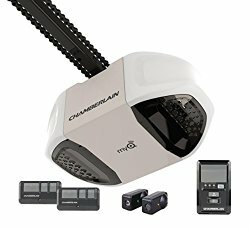 You can easily install this chain drive automatic garage door opener without requiring any professional help. 3/4 HP motor with chain drive: This powerful opener is designed to lift very heavy garage doors. The sturdy chain will lift doors up to 550 pounds with ease. Motion detection: When you enter the garage, the lights will be turned on automatically by the control panel and remain on about 5 minutes, giving you plenty of time to get into your home. Enhanced Protector System: This opener has a rolling code system that resets every time you open your garage door. You don't need to worry that someone record your code and use it later to enter your door. Homelink compatible: The system is designed to work with modern Homelink systems, but some models of vehicle with Homelink require the purchase of another $40 bridge in order to work. You can call Chamberlain to confirm compatibility with your specific car. Excellent warranty: Chamberlain provide a lifetime warranty on the motor and a 1 year warranty on the other parts and accessories. Easy to install, It's quiet and fast . I wish they provided terminals to install a key switch, Not all garages are attached to the house so security is not an issue in all installations The one warning I will give you is if you buy from ebay or an unauthorized seller your motor warranty is not covered.and if you're missing parts you're out of luck. .
Great opener! They give you literally every little thing you need! It comes with the opener itself, all the bolts nuts washers etc, sensors, sensor holders staples to hold the wire for the sensors 2 openers for the car and a opener for when you walkout to the garage.The only diss appointment was that I need to buy another thing for it so I can use my phone. I thought I could just download an app and connect to it through Bluetooth and then connect it to my wifi but you have to buy a separate item that's called a gateway for it. If you are looking for a reliable heavy duty garage door opener, then the PD762EV is a great choice with awesome features and fantastic value for money. The main drawback is the noisy operation as it's chain driven. It has an enhanced protector system including the ability to disable it if you lose a remote. 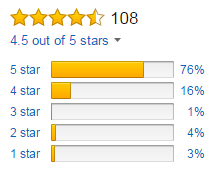 The PD762EV is a good brand with good reviews and, best of all, a good price. My final word is that it’s a smart buy.